At some point during your journey through life, you start to become quieter inside. For me, coming in contact with this inner stillness and embracing it was the moment that changed everything. Up until that point, life had felt like a busy marketplace full of the loud, stimulating noises and harsh, continual clashes of energy. I not only felt lonely – it was worse than that – I felt the paradoxical isolation of an outsider; lonely while surrounded by a crowd of people. 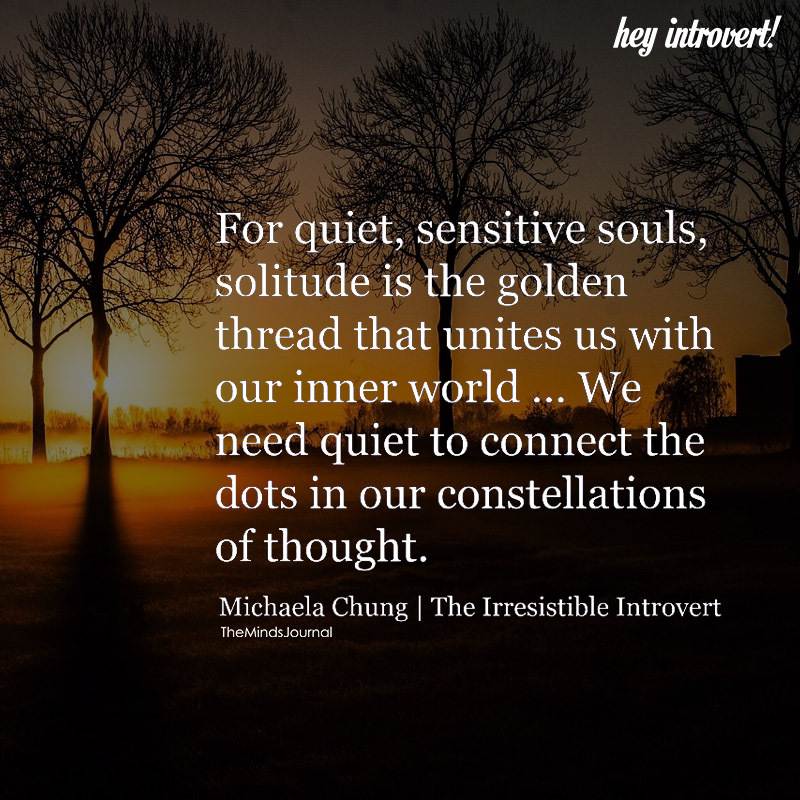 Although we all vary in levels of Introversion and Extroversion, everyone can benefit from finding quiet moments to stop, be still, and rediscover the solace of their own company. Everyone experiences loneliness to some degree – it appears to be a natural and inescapable condition that humans have experienced all throughout the ages. For most of us, loneliness is a product of the toxic connections that we’ve formed with ourselves, with others and with nature. How many times have you constantly been surrounded by friends, family members, co-workers, neighbors, and acquaintances … and yet still felt a sense of disconnection and isolation deep inside? This happens because we’ve been taught to arrange everything so that it remains separate; we’ve been taught to possess, to use, to compete and to fear others. Thankfully, through inner silence we can learn to encounter, to communicate and to love again. It is only by coming to terms with your solitude that you can truly be free to relate to others from a place of inner groundedness. One of the most startling discoveries that I made while cultivating inner quietness was that we’re all alone deep at our very core. We are born alone, we die alone, and although we like to fool ourselves through superficial appearances, we live our lives alone as well. We can try to forget it, we can try not to be alone by making friends, having a lover or mixing in with the crowd. Occasionally what we do on the surface touches our very roots; a lover that reaches our soul, a friend that understands our being – but if that friend is lost, if that love is gone, those solitary roots will still remain. To those who rely on the outer world for happiness and fulfillment, this realization is a cause for profound despair. But when you encounter this realization from a place of inner quiet, this truth is full of joy, peace, and possibility. From an external perspective, loneliness and solitude look very similar: they both share the quality of physical aloneness. The similarities end there. Internally the experience is drastically different. A lonely person is miserable, anxious, incomplete, restless, off-center and dependent on others. 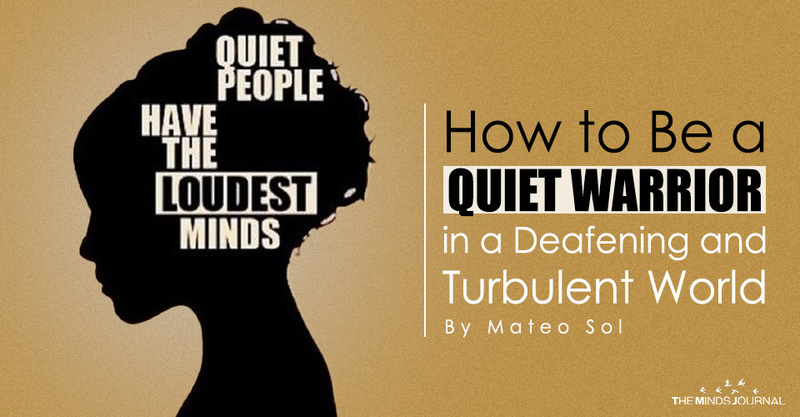 It is only through finding the depths of inner quiet that they become comfortable in their solitude, and it is only through redefining what it means to be “quiet” that they can feel happy in their own skin, fulfilled in pursuing their authentic dreams and free from the weight of other’s expectations.